Behavior is a common terminology that can be used for any person or an animal. The kind of behavior defines a person and his upbringing. Similarly, when a dog follows all the instructions and commands, then he is rewarded with a treat. Otherwise, he is trained to leave bad habits and learn the good ones instead. Treats are a great way to teach and lure them. Many dog-owners face such issues regularly. Not everyone is patient enough to teach and train their dogs and hence, those pooches end up in rescue homes or puppy adoption centers. 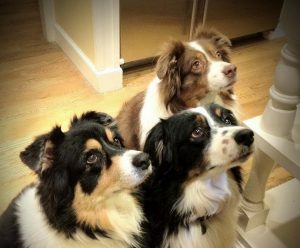 Your dog might be behind some prey that he once encountered in the backyard. 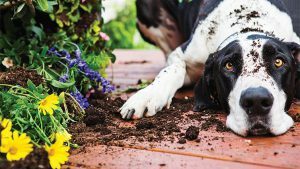 To avoid his digging up the yard just to find a small insect, pest control your backyard. Fence up the area to let your dog understand that he is not allowed in that area of the yard. Distract your dog when he is in the lawn, by using the elements that he hates the most and will run away from there. If he is digging for fun or to release his energy, give him a sandbox where he can dig and play and won’t mess up your pretty garden also. Dogs chew, obviously they do. Everyone who has teeth will chew. You cannot stop them or else how will they ever eat something. 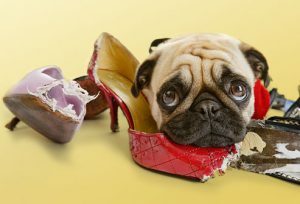 However, chewing can sometimes cause harm to your belongings and to the dental health of your dog as well. When you don’t control the chewing habits of pooches, they’ll start chewing anything and everything. This kind of problem should be controlled at an early age when the puppies are teething. The most common causes of chewing are boredom, anxiety and curiosity. Encourage your dog to chew the right thing, this action or behavior can be promoted by treating them at their good chewing habits. Correct your dog by replacing the wrong items with chew toys specially designed for dogs. Safely secure your personal belongings to keep them away from the dogs. Dogs bark. But, that’s not the end of the discussion. They bark because that’s how they communicate. For them, barking, howling, growling, whining are words and emotions they express. 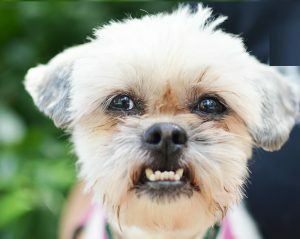 Barking is also of various forms- to alert people, to seek attention, to greet someone, to display anger and many more. 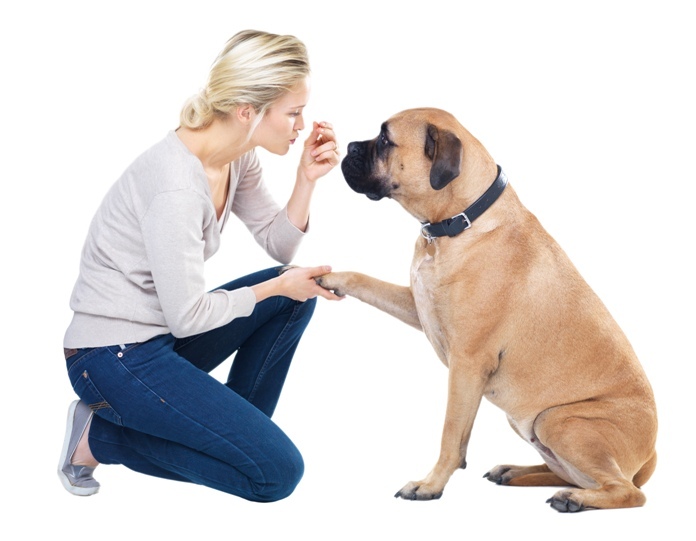 Find reasons to determine how to deal with the excessive barking issue. Learning to make situation of barking advantageous is important in such cases. If your dog is barking for all the right reasons, teach him to bark a few times and then be quiet. When the dog follows such behavior, treat him and pat him. Teaching him the “QUIET” command is important. If you are unable to train your dog then hire a professional to do so. Teaching your dog how to behave calmly in front of guests and sitting quietly without barking is helpful. Do not punish your dog for barking at all sorts of sounds; rather teach them when to bark. Separation anxiety is commonly acknowledged canine problem. The problem is demonstrated by chewing, inappropriate urination and defecation, destructive and clumsy behavior. The anxiety occurs when a dog feel separated from his owner. Generally, it is triggered when the owner has to leave for work or to run any errands. The mood and the body language of the canine changes when you leave the house. To decrease the anxiety level in your dog you should make them understand that you’ll always return. There are many other ways to keep your dog busy while you are away so they won’t feel your absence. Start an exercise where you go out of the house for few minutes and then come back. Repeat this by increasing the time. Puzzles and toys take up a good amount of time of your dog. This will also improve their mental stimulation. There are plenty of dog channels and videos that you can keep on for them to watch and listen. Keep plenty of water and food for them to drink and eat when required. Keep the dog’s bedding fresh and full of toys and chews so they can play and rest without getting anxious. There may be many situations when you won’t even recognize the signs. To control this kind of behavior in dogs, you must understand the reason, as it can be territorial, protective, possessive, fear, defensive, social and many others. If your dog is aggressive towards a certain person, action or a thing then determine that cause and give them behavioral training for the same. Professional assistance to control such aggressive behavior of dogs is necessary. 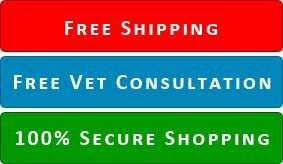 Consulting a vet is always a positive approach to eliminate the cause of aggression. 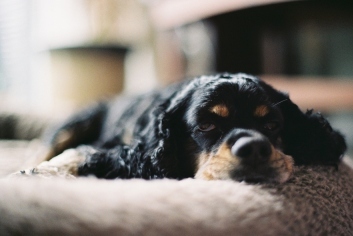 The vet might prescribe some drugs like Anxiety TFLN, a Homeopathic Anxiety Treatment and other remedies to keep your pooch calm. What are you reminded of when you see puppy dog eyes? You feel like doing the famous aww! and showing all kind of affection towards your pooch. However, in that cute moment you forget you are spoiling your doggy. When a pooch begs with their puppy dog eyes, it is generally for food or scraps from the table, which is an unhealthy habit. Your encouragement towards this habit will disturb their digestion process and lead to various gut issues and aches. If you allow it once, he’ll do it again and the cycle goes on unless you encounter stomach trouble and come back to senses. The best way to avoid this behavior is to provide them with proper meals and fix a time table to feed them. When you are at your dinner table, provide the dog with plenty of chew toys and games that he is busy in his own activities. Afterwards, reward him with a pat or a treat for his good doggy behavior. All dogs are stars for their owners, disregard of the breed they belong to or how big or small they are. They are the love of their owners. As a human, no one expects to understand a dog but there is no harm in trying the best for your pooch. Moreover, when we want the best, we want the best manners and behavior too. Your dog behaving well in front of any family member or a stranger is a moment to be proud of yourself for your pooch.